Looking back at KTM's road to earning its first MotoGP podium just two years in. Just two years of competition in the MotoGP World Championship, Red Bull KTM Factory Racing earned its maiden podium in the premier class at the weekend’s finale of the 2018 season with Pol Espargaro charging to an exceptional third place finish. 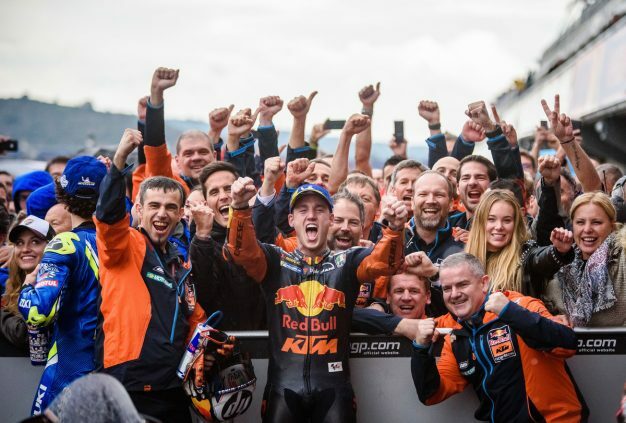 KTM’s ambitious MotoGP project surfaced in 2014 at the Misano grand prix, when the Austrian manufacturer’s head of motorsport Pit Beirer confirmed the news that it would be entering the most prestigious and competitive category of motorcycle racing in the world. The following weeks, months and years would see a number of tests completed across Europe has its highly-awaited RC16 machine developed into a contender that would be competitive with grand prix bikes that had years worth of experience and data. 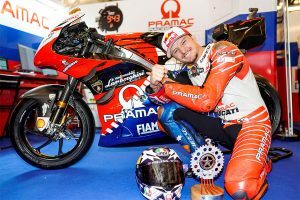 Finally, over two years after the brand established its plan to enter MotoGP, it made its debut with long-time and current test rider Mika Kallio with a wildcard appearance at Valencia’s final round in 2016. Qualifying in 20th position, an unfortunate technical glitch would call for a premature end to KTM’s first time out in the division, however it promoted an encouraging future to its official maiden campaign in 2017, headed up by riders Espargaro and Bradley Smith. Kicking off the year 2017, the KTM duo completed a positive outing in Qatar, with the pair finishing the encounter just outside the points – Espargaro in 16th followed by Smith in 17th. 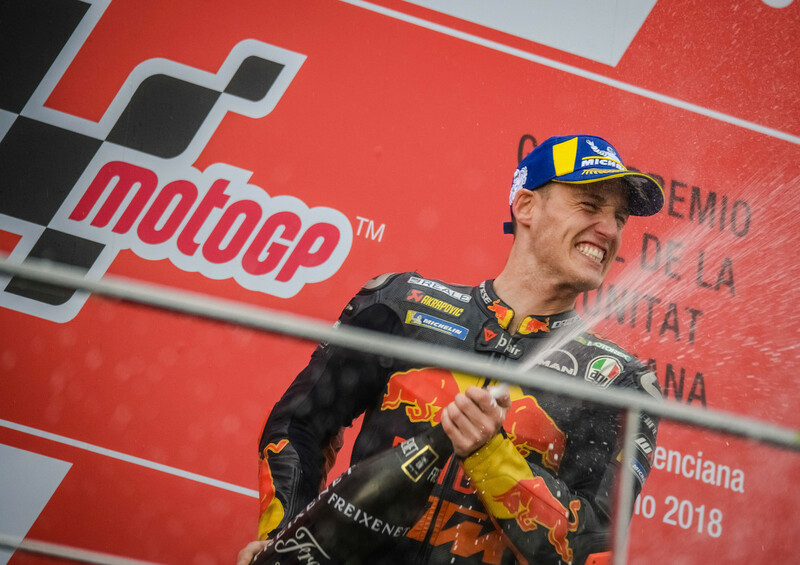 It wasn’t long before KTM recorded its first championship points, in fact, it was just one round later at stop number two of the season when Espargaro once again led Smith in positions 14 and 15, marking an inspiring step in just the early stages. A number of mixed performances and DNFs were recorded through year one, although the dynamic pairing still managed to lodge their fair share of impressive results. 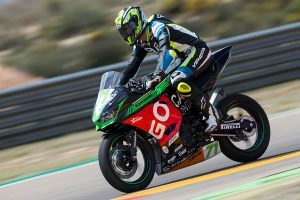 Most notably would Epsargaro’s first KTM top 10 finish at the Czech grand prix, where he navigated his way through field from P18 on the grid to ultimately wind up in ninth position. At the conclusion of 18 rounds, Espargaro earned 55 points to be credited 17th in the championship, with Smith acquiring 29 points for 21st position. 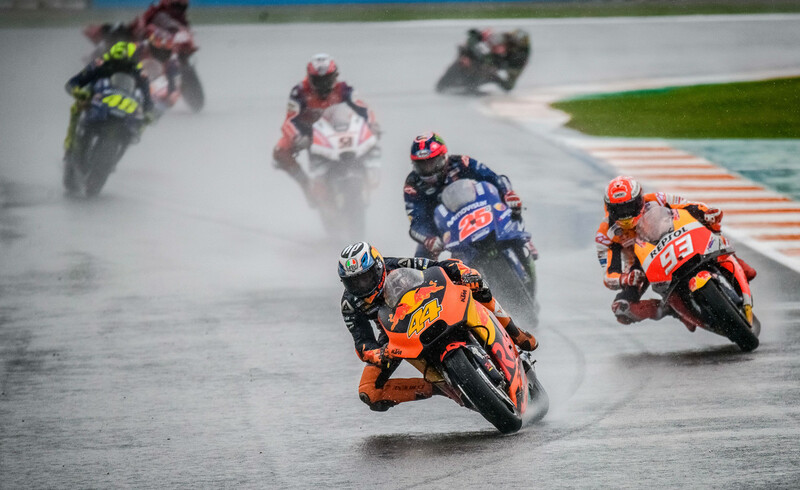 With a year of data and experience under their belts, KTM hit the ground running in 2018 with numerous point-scoring performances from team riders Espargaro and Smith, however injuries played a serious factor in further developments throughout the year, hindering progress at multiple stages. 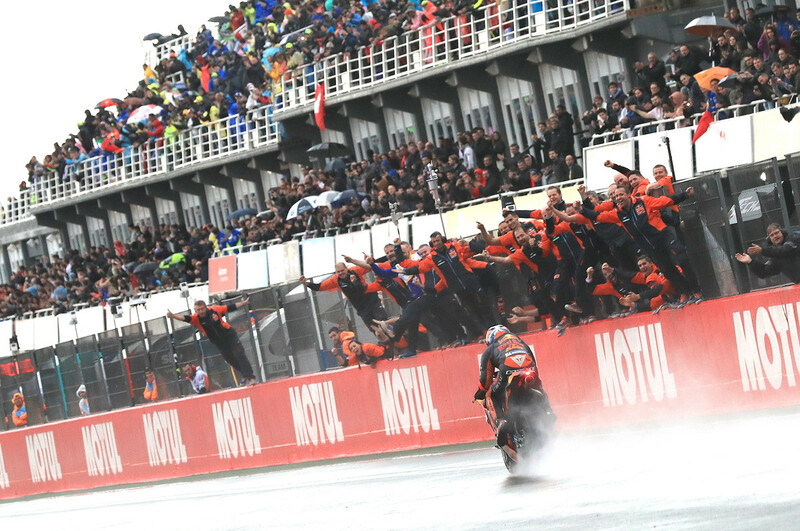 Fit and healthy for the final round at Valencia on Sunday, Espargaro pushed through treacherous conditions and red-flagged encounter, while also overcoming an early fall, to clinch his career-first podium, and KTM’s best ever result in MotoGP. 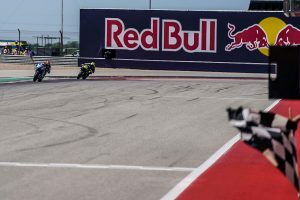 “It’s unreal,” Espargaro stated. “I felt good all weekend in wet and dry conditions. I was playing around all weekend with a few Yamahas and I was fast – I could do good lap-times. To always be in the top eight was building my confidence up. It was wild out there. The red flag was like a ‘message’ because the bike was still working after that big crash and I said to myself ‘man, this is your opportunity, take it’. KTM motorsport director Beirer commented: “I said all year that we are better than we could prove on paper because we had injured riders and we were not so lucky. We fell into a big hole in Sachsenring at a time when we were first in warm-up with a new bike and we thought ‘now we’ll make progress’ but Pol injured himself at the next race. Everything went wrong. “There was a critical moment two months ago when we looked at the new bike and elements like the chassis and, together with strong people at the factory, we decided to stick to the plan because we were sure we were on the right way. It was important not to lose the direction and today was the first big payback. We had Pol completely free of pain and with a good feeling. 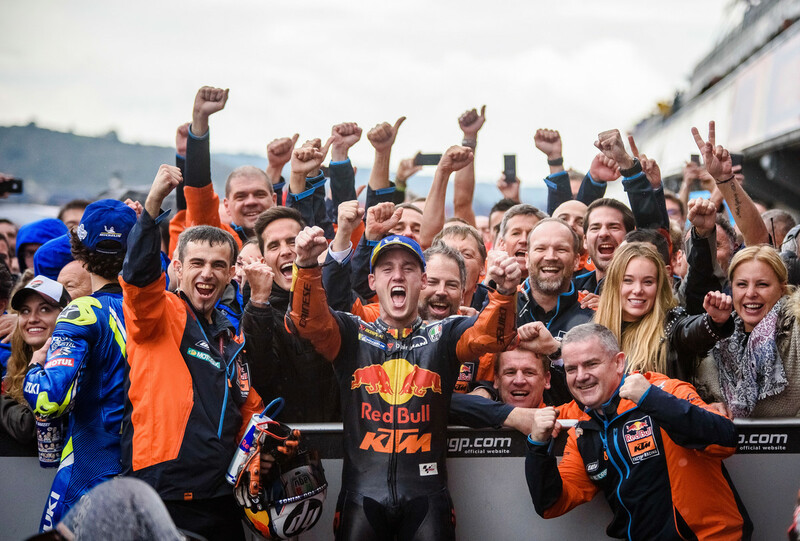 It’s a promising and rewarding result for KTM, who are set to expand their MotoGP efforts in 2019 as it races to become a contender for the crown. Espargaro will remain with the outfit for 2019 as Johann Zarco enters the squad in place of Smith, while Tech3 Racing will become the first KTM-supported satellite team with Hafizh Syahrin and Moto2 graduate Miguel Oliveira piloting the RC16 in the new year.